New year 2014 is just around the corner. 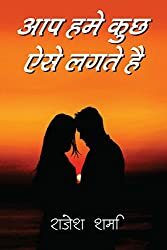 For those of you who need never before read new year hindi love shayari which can be sent as sms, the following lines will be of great delight. I am also writing the lines in English language so that if your mobile does not support Hindi font, you can still copy these new year love shayari messages. Here are a few new year love messages to wish your special someone on this new year! 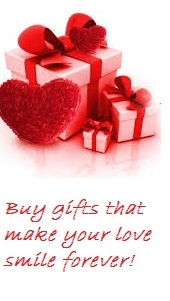 The English translation of new year Hindi love shayari / love messages / sms is available for the global audience. Naya saal hai aya, dhero khushiya sang laya. Tum khush raho abad raho, dil ne hamesha yahi farmaya. English translation : The new year has come and has brought lots of joy along with it. May you always remain joyful and prosperous – my heart always says. Naye saal ke aane par tum naye naye se lagte ho. Yu hi muskuraya karo, bade acche lagte ho. English translation : On the commencement of the new year, you look so new to me. Always keep smiling, you look so sweet. Hai saal naya, hai josh naya.Tumko chaha hai, chahenge yu hi hamesha. English translation : The year is new so is the enthusiasm. I have loved you and shall love you the same way always . Naye saal ki nayi subah tum kitni sundar lagti ho. Tum kal bhi itni hi sundar thi aur aaj bhi sundar lagti ho. English translation : On the new morning of the new year, you look so beautiful. You looked beautiful yesterday too and you look beautiful today too. Dekho ab saal hai badal raha, kahi tum bhi badal na jana. Mujhse pyar ka kiya wada, dekho kahi tum bhul na jana. English translation : Look the year is changing now, please don’t you change ever. The promise you have made to love me, don’t you forget it ever. Is naye saal ke mauke par dil se dua karte hain. Aap khush rahei yu hi hamesha, khuda se manga karte hain. English translation : On the eve of new year I wish from the bottom of my heart. May you remain happy always the way you are, I pray to God for granting the same. Saal dar saal yu hi guzarte hain, hum roz hi apse pyar karte hain. English translation : Years keep on passing by, I keep loving you every day. Guzarte saal ki aakhri sham ko ham ye elaan karte hain, naye saal ki har subah sham ham apke naam karte hain. Naya saal mubarak ho. English translation : On the last evening of the passing year, I make this announcement that I declare every morning and evening of the new year in your name. Wish you a happy new year. Phulo se haseen haseena ko naya saal mubarak ho. English translation : I wish a very happy new year to the beauty beautiful than the flowers. Jao naye saal se kah do purane saal ke lamhe ham nahi bhula sakte. Saal naya hoga ab lekin zindagi hum apke bina nahi bita sakte. English translation : Go and tell the new year that I cannot forget the memories of the old year. The year will be new but I cannot spend my life without you. Naye saal mein khushiyo ki apke ghar mein ho ahat. Naya saal apko bahut bahut mubarak. English translation : May happiness and joy enter your home in the new year. Wish you a very happy new year. Naya saal apke jeevan mein bhar de khushiyo ke sab rang. Aur bhar de apke man mein naya josh aur umang. English translation : May the new year fill your life with the colors of joy. And fill your heart with new zeal and enthusiasm. Naya saal hai aya, dhero khushiya hain sang ayi. Khush aap raho hamesha, apko nav varsh ki bahut bahut badhayi. English translation : The new year has arrived, lots of joy has come along. May you remain happy always and lots of wishes for the new year. Purane saal ke jaate hue lamho mein hum ek hi izhar karte hain. Chahe saal purana ho ya ho naya hum bas aapse hi pyar karte hain. English translation : In the moments of the passing old year, I make only one confession. The year may be old or new, I love only you. Chaha tha tumko chahenge tumko hi hamesha hum. Chahe saal koi bhi ho chahe ho koi janam. English translation : I had loved you and shall love you always. The year may be any or may be the birth. Is naye saal mein hai tumse bas ek hi guzarish. Hamesha yu hi muskurati raho yahi hai mere dil ki khwahish. English translation : In this new year, I just have one request. May you always keep smiling like this, is the wish of my heart. Saal purana ho ya ho naya, lagti ho tum sabse pyari. English translation : May the year be old or new, you look the most beautiful . Naye saal mein nayi tarha chalo shuru karein apni prem kahani. Main tumhare dil mein raj karu aur tum bano mere sapno ki rani. English translation : In the new year let us start our love story. I rule your heart and you become the queen of my dreams. Naya saal naya josh nayi umang. Tumko mile dhero khushiya apno ke sang. English translation : New year, new zeal, new enthusiasm. May you get lots of joy with loved ones. Nav varsh ki nav subah bas ek hi hai tamanna. Tum hamesha bas meri hi ban ke rehna. English translation : On the new morning of new year, I have just one wish. You always be only mine. Hope you enjoyed reading Hindi love shayari messages composed by me. Do post your comments.